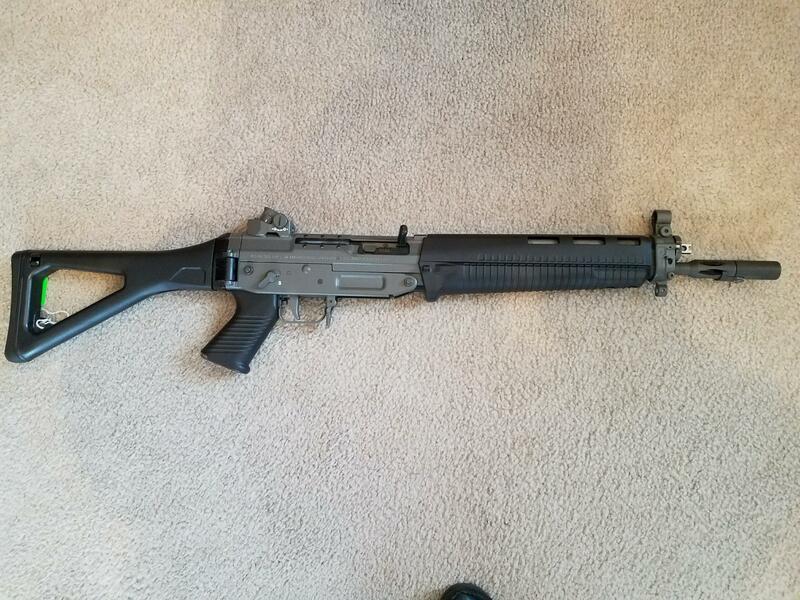 Sig 551-2 SP SWAT for sale. 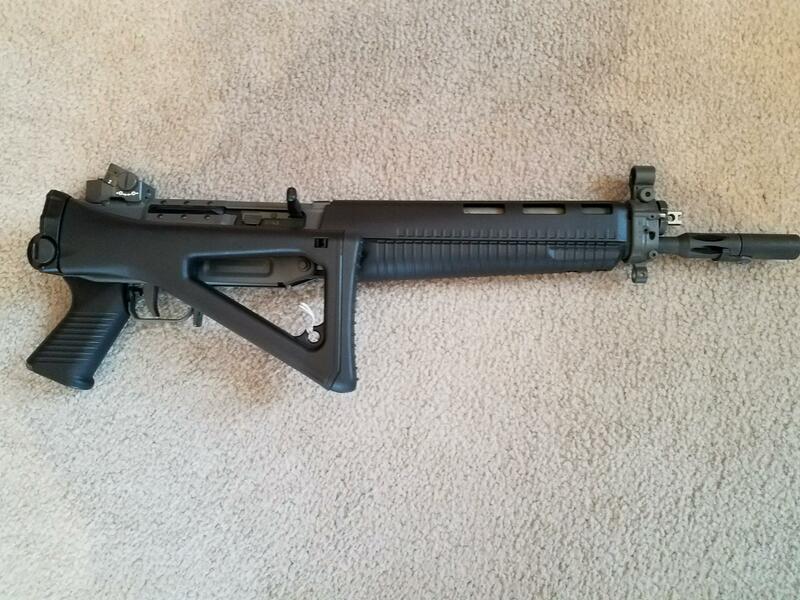 This rifle was originally imported as a Pre-May SBR (Short Barrel Rifle). It has been removed from the NFA registry. 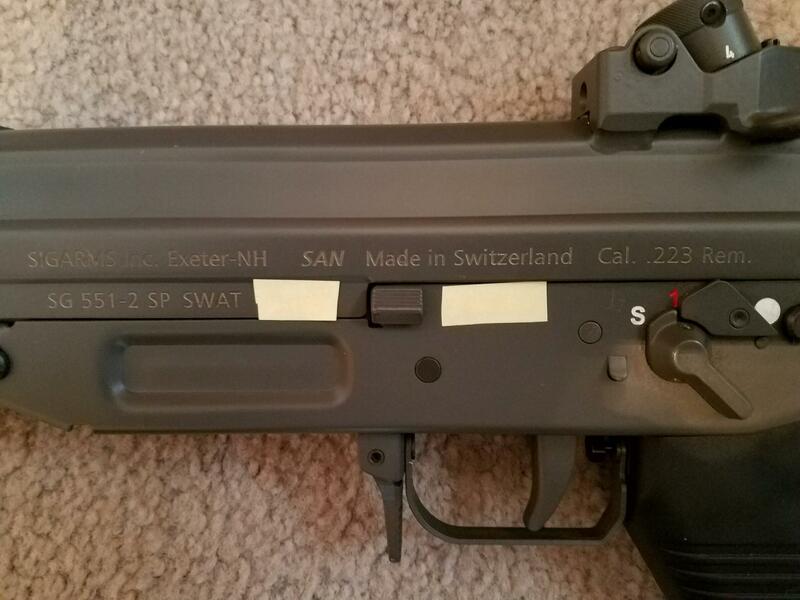 ATF documentation will be included. 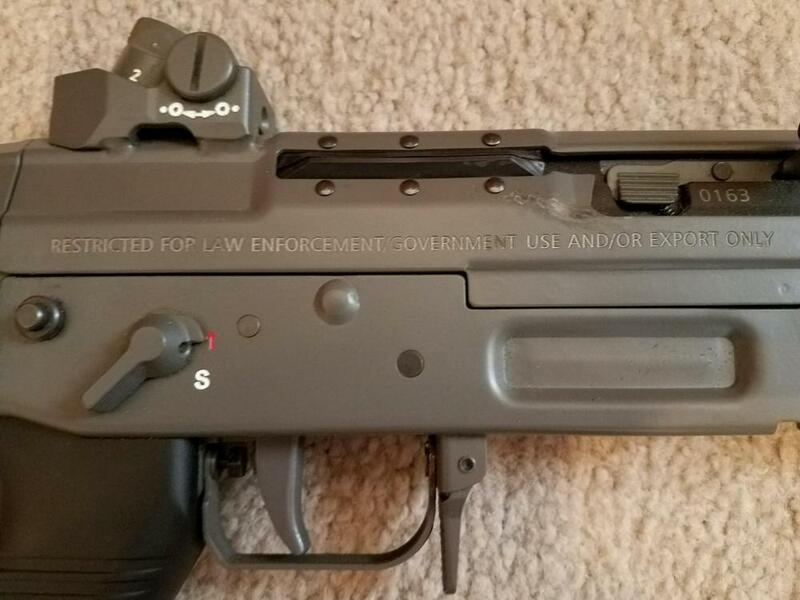 It is now a Title 1 gun. Barrel is 16 1/4" long. It can be very easily re-SBR'd to a transferable SBR. 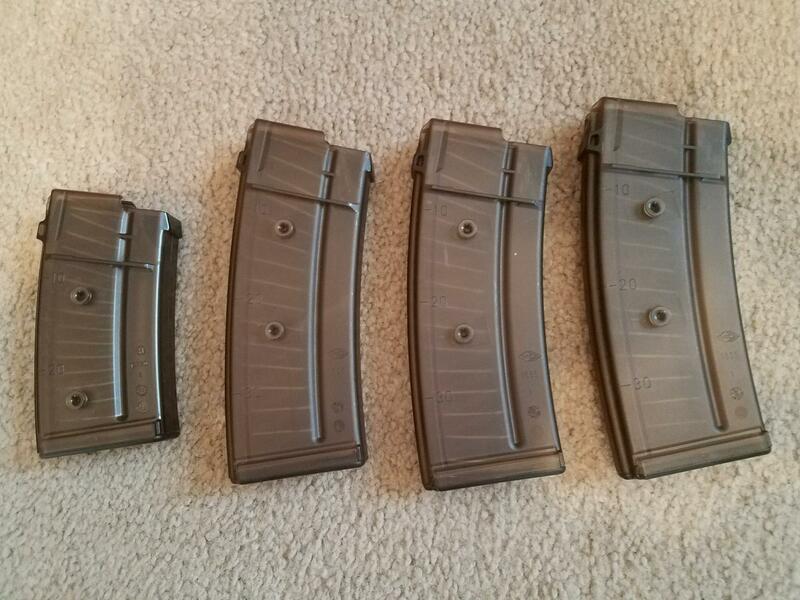 3 SIG thirty round mags & 1 twenty round SIG mag. Sling & owners manual included. Night sights. Excellent condition. Very low round count. Not many of these in the country. $6500 + shipping & insurance to your FFL Dealer. Only to states where legal to own.